A darker kind of teenaged witch named Sabrina is coming to The CW’s emerging Archieverse in her own show, in what might end up being the same universe as Riverdale. According to The Hollywood Reporter, The CW announced an hour-long drama series based on Archie Comics’ Chilling Adventures of Sabrina, which reimagines Sabrina’s story as “a dark coming-of-age tale that traffics in horror, the occult, and witchcraft.” Comparisons are being made to Rosemary’s Baby and The Exorcist. Nice. 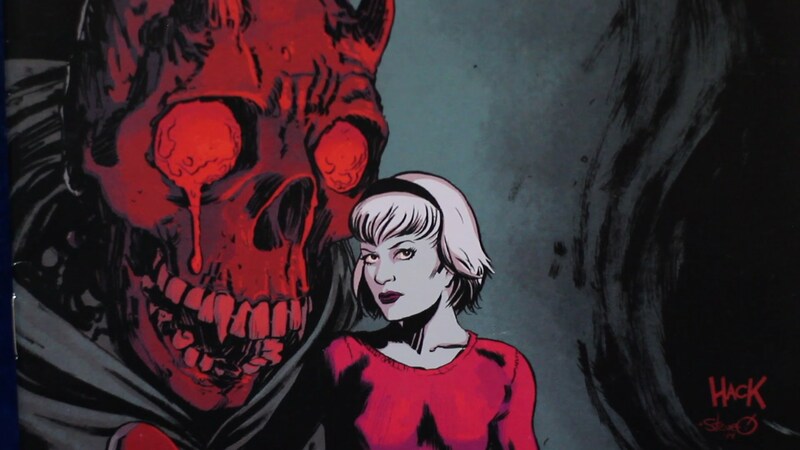 The Chilling Adventures of Sabrina comic book series began in 2014 and focuses on half-witch, half-human Sabrina Spellman during her teenage years in the 1960s. Roberto Aguirre-Sacasa, Riverdale’s showrunner, wrote the comic and will also write the new show, which might begin airing as soon as the 2018-2019 TV season. Berlanti Productions — famous for the swelling Berlantiverse/Arrowverse that includes the many DC TV superhero shows — will assist with the likes of Greg Berlanti, Sarah Schechter, Jon Goldwater, and Lee Toland Krieger each involved. This is a very different kind of Sabrina. Forget all about the sweet, innocent Sabrina Spellman and her grouchy, talking black cat Salem from Sabrina the Teenage Witch, because this version of the character will be dark AF. Sabrina might be considered a nicer witch, but plenty out there aren’t so nice. Between demons and other occult activity, a lot of hellish supernatural threats orbit around Sabrina. We can expect The CW version of Sabrina’s Chilling Adventures to be, well, chilling. Think something closer to Supernatural or Buffy the Vampire Slayer than ABC’s original Sabrina the Teenage Witch show. Will Betty and Veronica turn out to be witches? 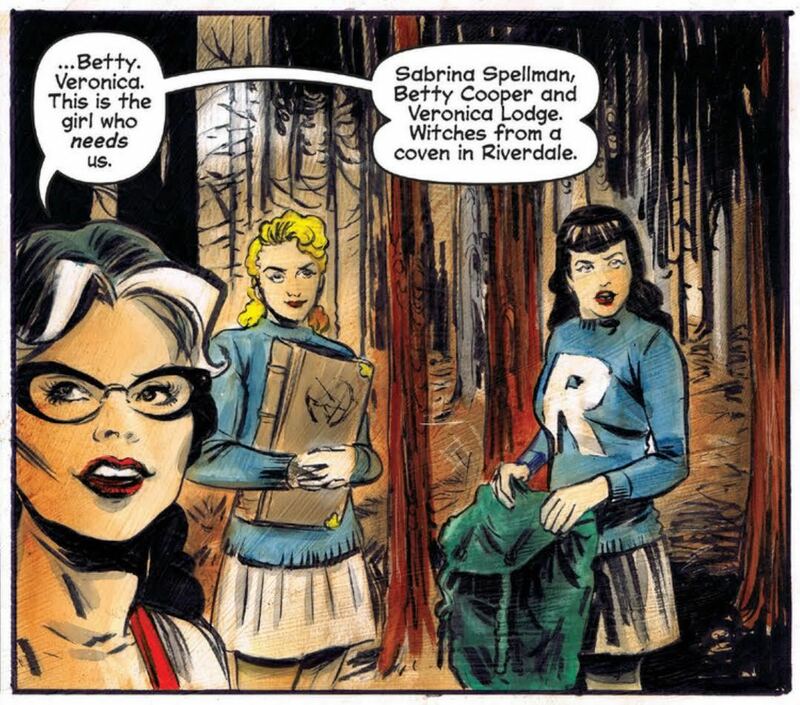 In the original run of Chilling Adventures, Betty and Veronica appear as lesser witches from Riverdale — which seems a bit far-fetched for The CW. Similarly, Chilling Adventures takes place in the 1960s, but much like how The CW’s Riverdale brings a decades-old story to the present day, this new show will likely do the same. Sabrina is actually from Greendale, a town that already exists in Riverdale (it’s on the other side of the river), so introducing her in a random episode of Riverdale would be easy. What’ll most likely happen is a back-door pilot — think of when Arrow introduced Barry Allen before he got his powers to tease The Flash. Could we see the same by the end of the next season of Riverdale? This news makes it seem highly likely that a crossover between the two shows will inevitably happen, considering how popular Arrowverse superhero crossovers tend to be. It’s worth noting that Sabrina’s Chilling Adventures could eventually lead to the Afterlife with Archie storyline from Archie Comics that introduced Sabrina. After she accidentally causes a zombie outbreak, Archie leads a small band of survivors through the abandoned highways of America. Could this be a non-canon 2019 Halloween special in the making? We can only hope. Riverdale Season 2 starts Wednesday, October 11 at 8:00 pm, and there are no further details about Chilling Adventures of Sabrina at this time.